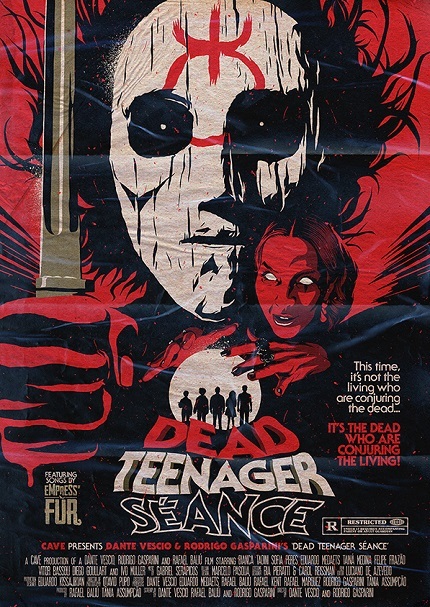 Dead Teenager Seance, the horror comedy short film from Dante Vescio and Rodrigo Gasparini is making the festival rounds, playing in Brussels this week(ish). Yesterday they released the trailer for it, which you will find below. Bronze Skull winner at Morbio and Best National Short Film winner at Phenomena, DTS is a delightfully dry slahser comedy. Though the story in the short film is self-contained it can be expanded into a feature length story, one which Dante shared with me while we were at Morbido. Indeed DTS does have that potential to be bigger than itself, something glib and funny, but also true to the tropes of the slasher genre. I welcome it. "Dead Teenager Séance" (2018) | Official Trailer from Dante Vescio on Vimeo.